We revisit the ambitious, multi-city exhibition that brought sculpture into the daily lives of ordinary people. For a period of six months, between March and November 1972, sculptures were installed in eight cities in England and Wales. From Nicholas Monro’s over five-metre tall statue of King Kong in Birmingham, to Liliane Lijn’s revolving cone in Plymouth and William Turnbull’s six-part stainless steel sculpture ‘Angle’ in Liverpool, these works all reimagined sculpture’s relation to the city and the urban viewer. This autumn the Henry Moore Institute, a centre for the study of sculpture, returns to this ambitious and fascinating sculpture project in the exhibition City Sculpture Projects 1972. Presenting sculptures and maquettes, some being remade by the artists especially for the exhibition, alongside photographs and archival material, much of the selected material has not been seen in public for over forty years. 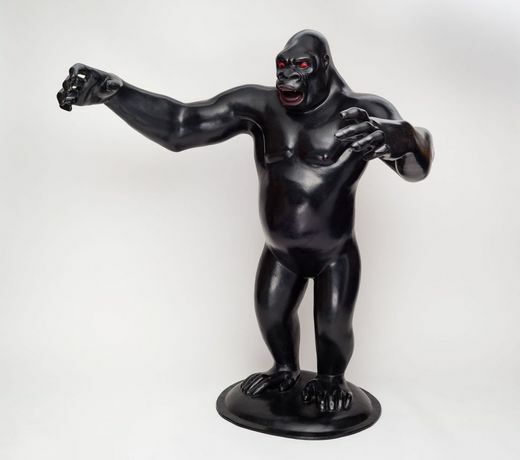 At the heart of City Sculpture Projects 1972 is the only explicitly figurative sculpture in the project: Nicholas Monro’s extraordinary ‘King Kong’. This sculpture stands five-metres tall outside the Henry Moore Institute, looking over the city's busiest thoroughfare. This will be the first time this sculpture has been lent to an exhibition since its 1972 showing and in the galleries, Monro’s maquette for the work is also on display.